There are rumours circulating that Intel will launch its 9th gen Intel CPUs and Z390 chipset in the coming weeks. Warming us up for the main event motherboard makers Asus and MSI have taken to social media to tease what are expected to be Z390 chipset based products. 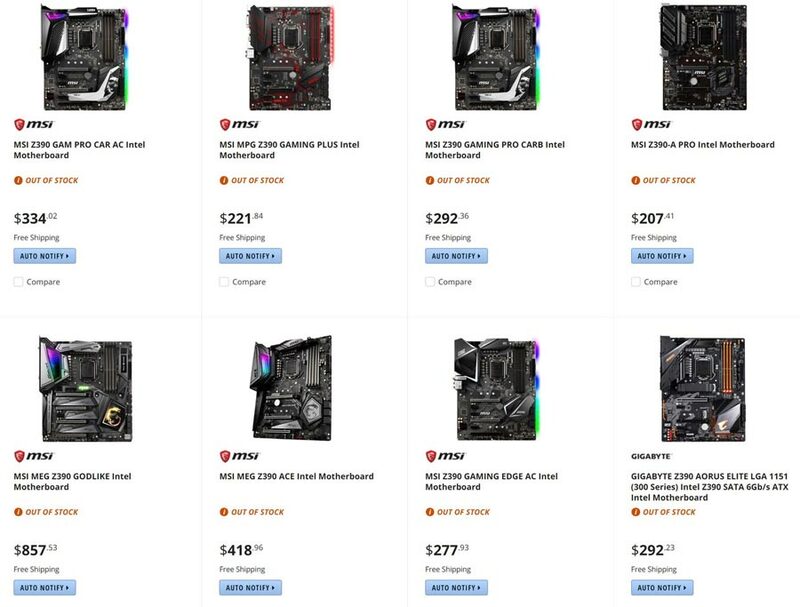 If the teases alone weren't enough there have been other leaks and spills including a host of MSI and Gigabyte Z390 motherboards being listed (and priced up) at Newegg Canada earlier this week. Asus ROG has let out a minor Twitter tease for its upcoming motherboards. It hashtags these products #nextgenmotherboard, if any more clarification was needed. A picture, shared below, includes an RGB LED pierced silhouette of a quartet of motherboards but there is likely to be more if we look at previous and rival launch lineups. On the image you can see Asus boasts that the new boards support CPUs running with all-cores at 5GHz+, with memory speeds in excess of 4266MHz. 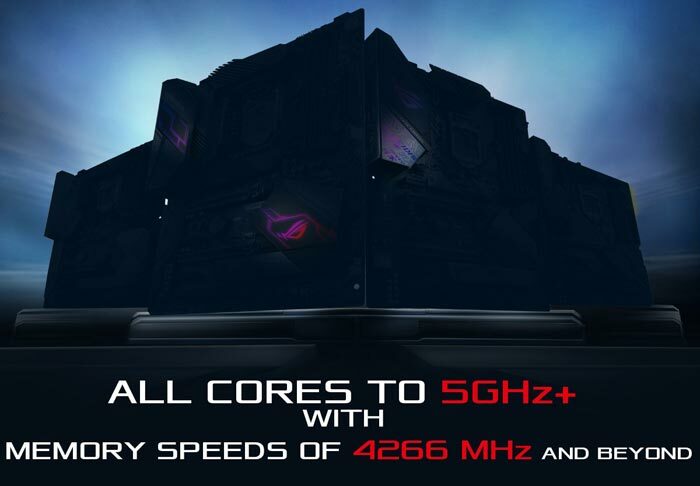 In some accompanying explanatory blurb Asus ROG says that "Our next-gen mobos are capable of peaking to 5GHz+ on all cores, and enable DDR4 memory speeds faster than 4266MHz with all slots populated, even if you’re using some fancy RGB-infused RAM." Earlier this week MSI livestreamed a preview of its next gen motherboard lineup. It sidestepped any NDA restrictions by obscuring model names and any reference to Z390 on the motherboard / packaging / talking. 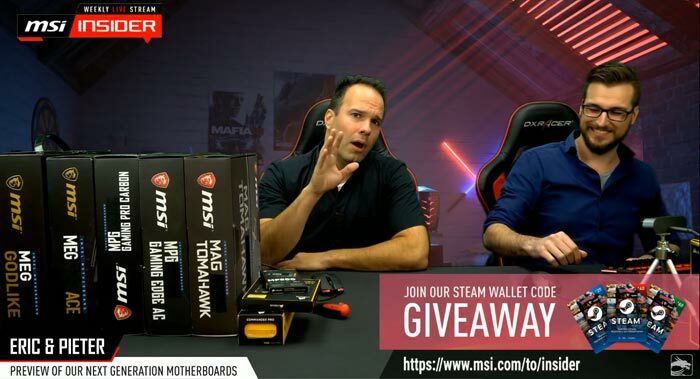 In the video below you can see presenters Eric and Pieter talk you through new upcoming next generation motherboards, including Godlike, ACE, Gaming Pro Carbon AC and Edge. They highlight the features that have been included on these new products while avoiding topics based upon the platform, chipset, CPU, and performance. 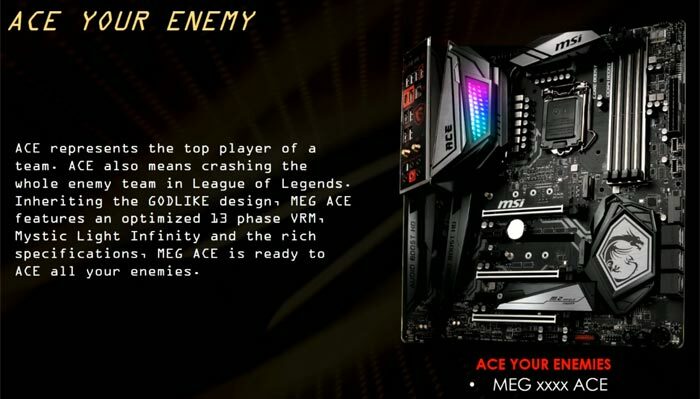 A completely new line of motherboards dubbed the MEG Ace range will debut with this generation. 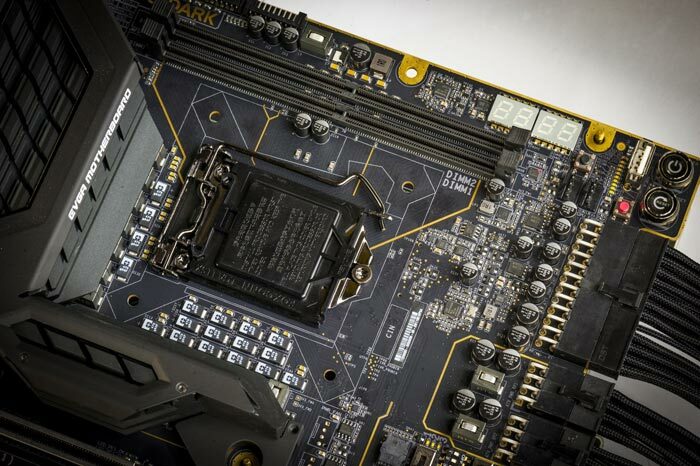 You can see the first such motherboard with its distinctive features above. The guys go on to talk about each motherboard in quite some depth at this stage so the video is worth a look if you are considering a platform upgrade in the not-too-distant future. 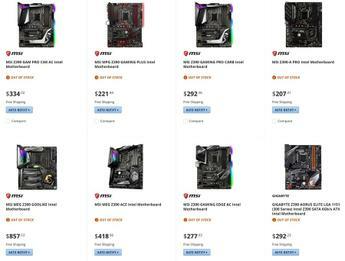 As mentioned in the intro, MSI and Gigabyte Z390 motherboards have recently been accidentally prematurely listed by Newegg Canada. TechPowerUp captured the listings of a total of 15 such products and I've shared the images below for your convenience (click to zoom). 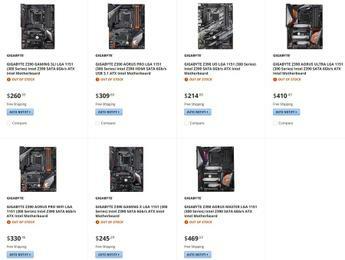 Newegg has taken down listings of these products for now. EVGA's Jacob Freeman has teased the upcoming EVGA Z390 DARK. VideoCardz says this is an ultra-premium board featuring 24+8+8 power connectors and turned LGA1151 socket is likely to satisfy extreme overclockers. The official tease image is below. A couple of hours ago VideoCardz leaked and shared details of the EVGA Z390 FTW. The report says that there are only minor differences between the new Z390 and the existing EVGA Z370 FTW product, only "huge yellow caps were added to the audio chipset, M.2 slots were moved and VRMs lost the EVGA logo". “Next Gen Motherboard”, they swapped the chipset from the Kaby Chipset to the Cannonlake one, wow such progress. Call me confused, but haven't they only recently launched the 8 series chips? Also with all the production woes :S AMD really must have them sweating! Yes, the 9xxx series are refreshes of the 8xxx series with 8 cores added to the line-up, the process node may be tweaked as well, not sure on that as I thought the 8xxx series were already 14nm++? I'm not sure who is worse for fragmentation right now, Google or Intel.